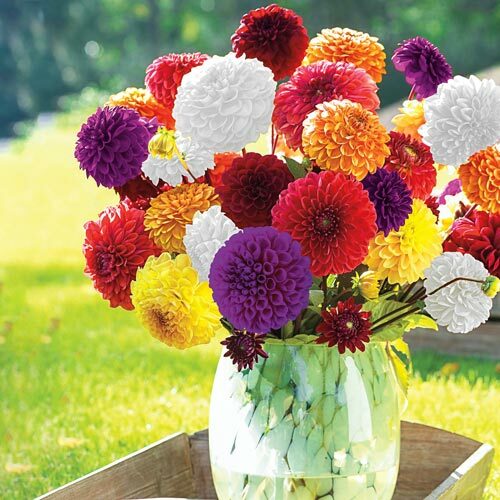 Prolific and colorful, dahlias are a favorite in the sunny garden and fresh floral arrangements. 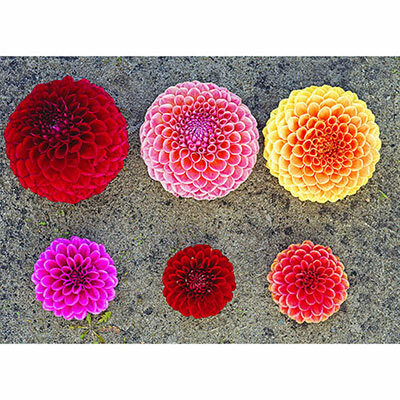 Our Giant Ball Dahlia Mix was developed by hybridizer, H.A. 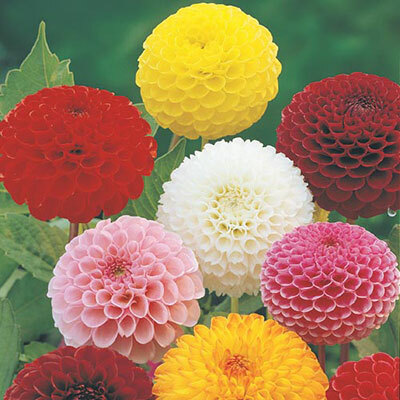 Van Eeuwijk. 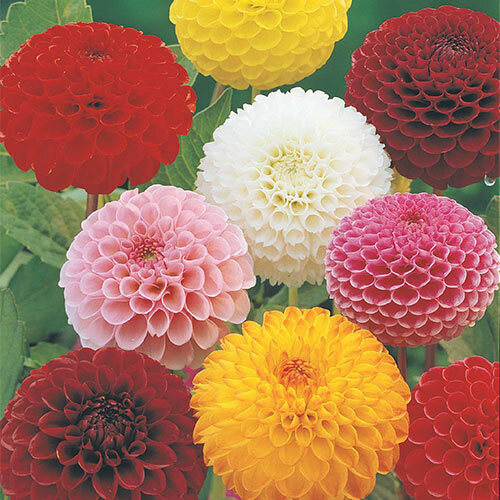 This Dahlia mix produces very large flowers that are very uniform in height, flower shape and, as a special feature, have strong, thick stems. 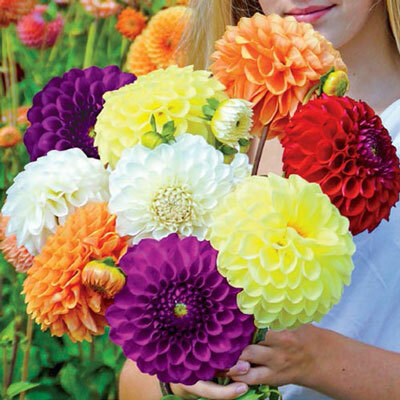 They make superior cut flowers, lasting up to 5 days when freshly cut. 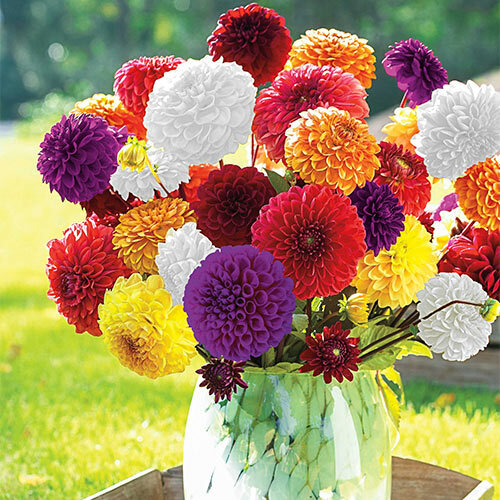 They are easy to grow and deer resistant—and they bloom from midsummer to frost.